I have been through a lot of seasons in my life, but the one I felt stuck in the longest, was the season of perpetual brokeness. No matter what I did, I could not seem to get ahead. Every time I had a couple bucks in my pocket, something would come up and BAM, I would be standing in front of the ATM hoping my bank would allow me to overdraw my account just ONE more time. Fortunately, that season is over and while I don’t miss being broke, I did learn a lot from the experience. It was a difficult time for me, because I always felt like a failure and a let down. I would see friends, family and even total strangers being successful and the green envy monster came charging in. Why was I so bad with money and why was everyone successful but me? Thankfully, the pity party ended, and I got real with myself. Today I wanted to share some of that realness with you, in the hopes that if you are currently in the “broke” boat, or if you have in the past, or even if you might be in the future that you might find some comfort and hope in hearing some bits of wisdom I learned along my journey. 1. The situation might seem dire, but it is not permanent. One of the hardest things to do when you can’t keep your head above water is to see the shore. It’s easy to lose hope when things are really desperate. The important thing to remember is that everyone falls into the pit of despair at some point, just don’t pitch a tent and set up camp there. What I mean is, know that the situation can and will change. The more positivity in your outlook, the sooner you’ll find the path out of your current situation. 2. Your income does not equal your value. It seems like everyone wants to judge you based on your financial situation. Not only do people tend to judge based on your income, but also MANY places judge you on financial metrics like your credit score. It can be hard to remember that your bank account balance does not equate you your value as a human being. Remember that your worth comes from who you are as a person, not the number of zeros in your account statement. 3. You will find ways to get creative. When I was broke, I had to get creative to make ends meet. I did everything from extreme couponing to having a budget wedding. Sometimes doing things like trimming your cable bill or turning off the lights when you leave the room is not enough to make up your deficit. Sometimes you have to get really creative. Try thinking outside the box when it comes to either saving money or making money. Look for unique side hustle ideas, sell items you no longer use and try things you wouldn’t normally consider to help ease the squeeze of your financial situation. 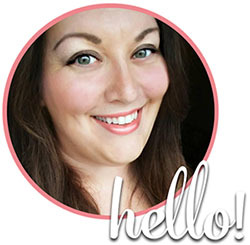 I have tried and succeeded with things like starting a blog, becoming a virtual assistant and even earning giftcards to supplement my income. 4. You can still eat healthy. A common misconception is that people who are broke have to eat crappy food. While it may be more convenient, this is not necessarily true. There are lots of ways to save money while eating healthy. In fact, cooking at home in general is far cheaper than eating fast food, even if you’re eating off the dollar menu. Stick to whole foods and simple meals, use ingredients that are inexpensive as extenders (like beans for example) to make your meals go further. When I was in college I took a nutrition class and part of my final grade was a project that involved me living on a food budget of $25 week and writing a paper about it. The catch was I had to follow the food pyramid and show all my nutritional needs were being met. Was it easy? Definitely not, BUT it was doable. 5. Couponing can be fun. You might think I’ve lost my mind but hear me out. When things were really tight, I learned how to coupon. I started watching Extreme Couponing, and quickly realized that while the show was somewhat bogus (a lot of the rules and store policies were stretched among other things) the basic concept was something I could do. I did a little research and quickly learned how to coupon effectively. Instead of treating it like a drudgery or a chore, I tried to think of it as a fun game. How much could I save this week? Could I beat my “score” for last week? The most important thing I learned however is to not give up. Money isn’t everything and it does not equate to happiness by any means, but I know first hand how stressful and draining money struggles can be. 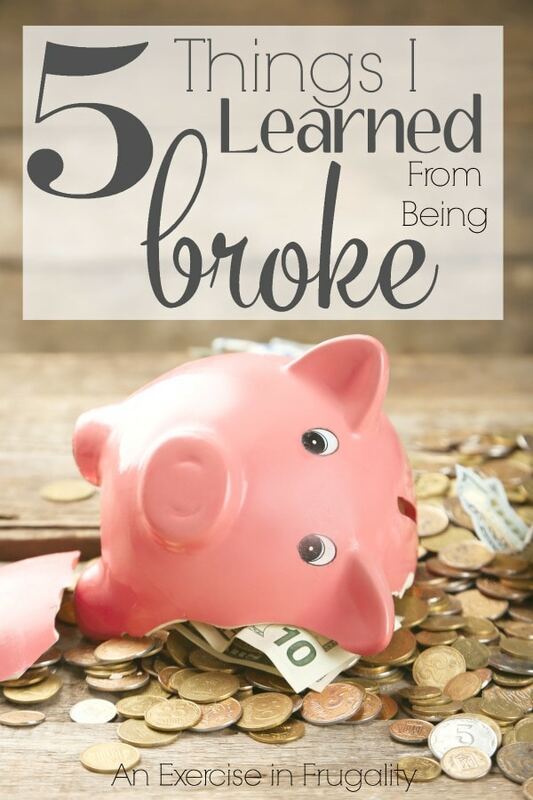 What have you learned from being broke? Pay yourself first so you can have an emergency fund. Oh and Pay In Cash! If I don’t have cash for it I don’t need it. Also the library is your friend for free entertainment.